Home › Energy-Efficient LED Lighting › Homeflex 11-Tc-02125 Corrugated Stainless Steel Tubing Cutter 0.2-Inch - 1.2..
Homeflex 11-Tc-02125 Corrugated Stainless Steel Tubing Cutter 0.2-Inch - 1.2.. The HOME-FLEX Tubing Cutter is specially designed for use with HOME-FLEX CSSTas well as aluminum, brass, copper and stainless steel tubing. 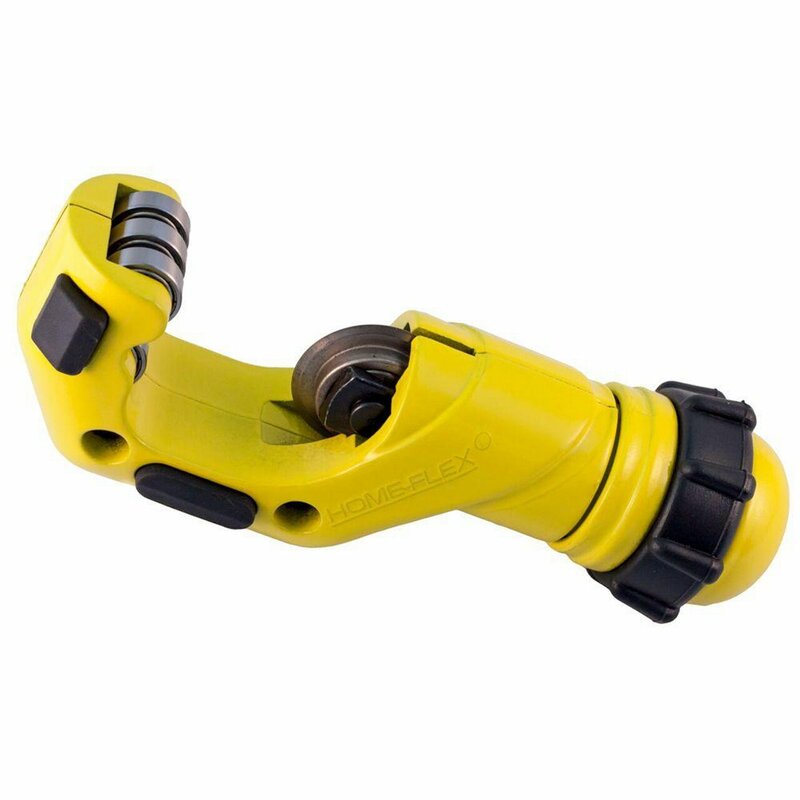 The largetightening knob is easy to handle and increases cutting speed by applying moretorque with every turn while the 3-roller tracking system ensures a straightcut. Includes a replacement blade. From the Manufacturer The HOME-FLEX Tubing Cutter is specially designed for use with HOME-FLEX CSSTas well as aluminum, brass, copper, and stainless steel tubing. The largetightening knob is easy to handle and increases cutting speed by applying moretorque with every turn while the 3-roller tracking system ensures a straightcut. Includes a replacement blade.